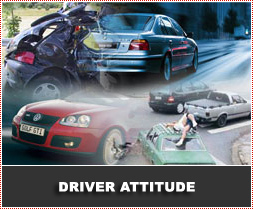 *Drivers are attached to their cars and the possibilities that they offer. They encourage and maintain particular patterns of household location, work, leisure and familial and social networks. But they also enable drivers to speed. * Many, though not all, drivers speed. At the broadest level of analysis, drivers will exceed the speed limit if they have the opportunity to, feel the obligation to, or cannot resist the inclination to. The type of road they are driving on, the type of car they drive and the present road, weather and traffic conditions provide different opportunities for speeding. Felt obligations and responsibilities to those awaiting them at their destination and, for some, to the transient others with whom they are presently sharing the road, influence their speed choice. Inclinations to drive fast vary systematically with age and, to a lesser and decreasing extent, with gender. * Reducing speeding behavior requires reducing the opportunities that facilitate fast driving, reducing the lifestyle obligations that cause drivers to speed up, and modifying inclinations to speed by enhancing the power to resist them. The first is, in principle, straightforward: change cars and roads. Price and status differentials between different makes and models of cars could be preserved, and cars remain attractive, even if none were capable of speeds substantially in excess of the maximum statutory permitted velocity. Making highways safe and comfortable to drive on — a smooth and quiet surface, long bends with a smooth camber, good sightlines — also makes them attractive to speed on. * Reducing the presses to speed from time and schedule pressure where behavior is ruled by timetables, appointments and arrangements entered into would also be difficult, requiring a general reduction in the pace of modern life. Recognising and resisting the perceived pressure to ‘keep up’ with the traffic around you is not easy, just as overcoming any habitual behavior supported by social norms requires hard, and sometime seemingly thankless, expenditure of effort. * The inclination to speed remains. Amongst female drivers access to faster cars and the potential for the enjoyment of speed is increasing. Amongst males, the thrill of speed — and the pleasure of a fast bend nicely judged — may not decrease with age.